Clinical Support Technician II needed for a 15-bed unit dedicated to caring for patients with a burn injury and/or other complex wounds. Burn patients on this unit typically have <20% burn injury and are acute care in status. Other patients cared for on this unit include, but are not limited to: plastic surgery patients, diabetic wounds, pressure ulcers and overflow from other acute care surgery and medicine areas. The Clinical Support Technician II is responsible for assisting the professional caregiver in the delivery of patient care, transporting patient and / or equipment, setting up and maintaining patient rooms, and performing a wide range of clerical, transcription, and maintenance of the patient care unit desk area functions. Performs patient care requiring clinical and procedural knowledge and skills requiring the use of sterile techniques, infusion monitoring, and medical equipment. Coordinates the flow of communications on the patient care unit. The Clinical Support Technician II may or may not be given a defined patient care assignment based on unit needs and the discretion of the manager / charge nurse. Tracks supply inventory, orders supplies and special items. Assists unit with clerical and administrative support including PI audits and data entry. This position is 36 hours/week; rotating to days, nights and weekends working 12 hour shifts (7a-7:30p and 7p-7:30a). This position qualifies for an extensive benefit package including PTO hours accrued based on the number of hours hired to work. 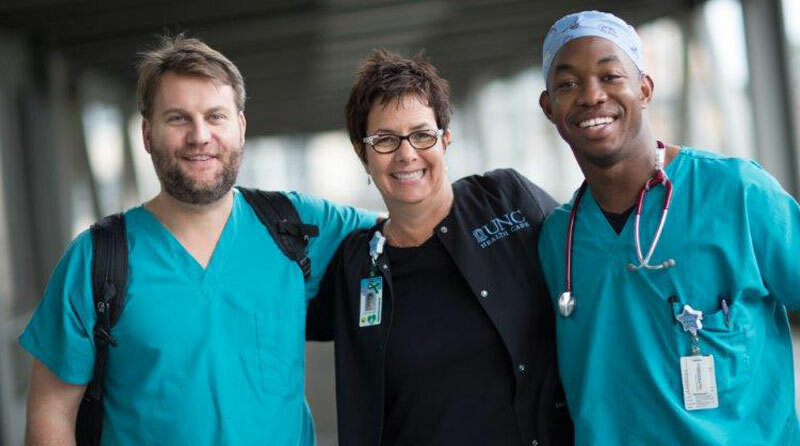 Requires High School diploma or GED, current listing as Nursing Assistant II with the North Carolina Board of Nursing and current listing as Nursing Assistant I with the North Carolina Department of Health and Human Services. Current Basic Life Support (BLS) for Healthcare Provider/BLS Provider certification and one (1) year of clerical or customer service experience and six (6) months of related nursing assistant experience, which may include a nursing assistant course or an equivalent combination of education, training and experience also required.